See our map below to see where our Chocolatiers are based. 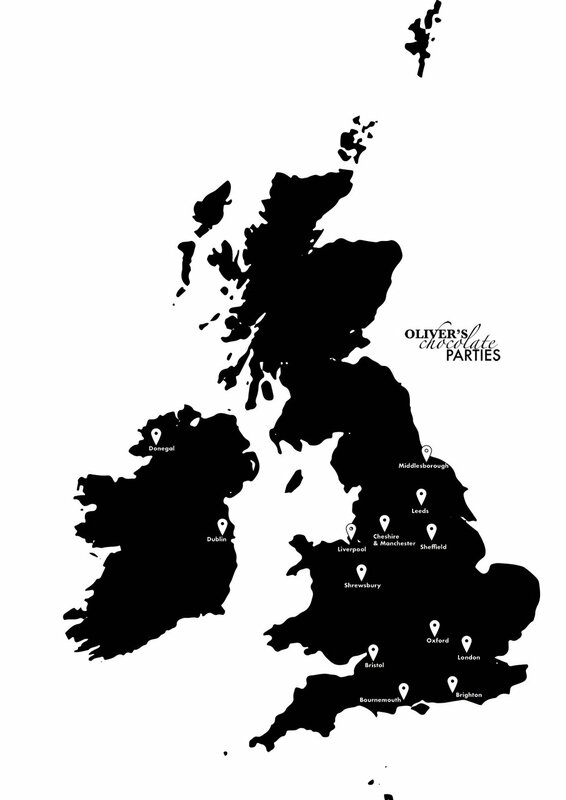 PLEASE NOTE: We do not have premesis to host parties in any areas apart from Cheshire. All chocolatiers are mobile and come to your home or chosen venue. If you know anyone that would like to join the team just get in touch!